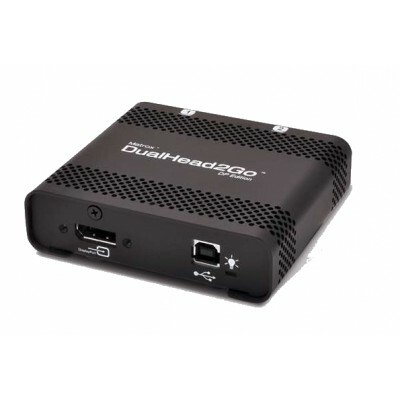 Matrox DualHead2Go DisplayPort Edition D2G-DP-MIF external multi-display adapter adds up to two monitors to your laptop or desktop computer. 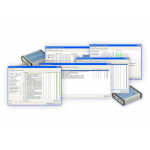 It connects to the video output of your system and uses the system's existing GPU to provide high-quality, uncompressed graphics and video across all monitors. 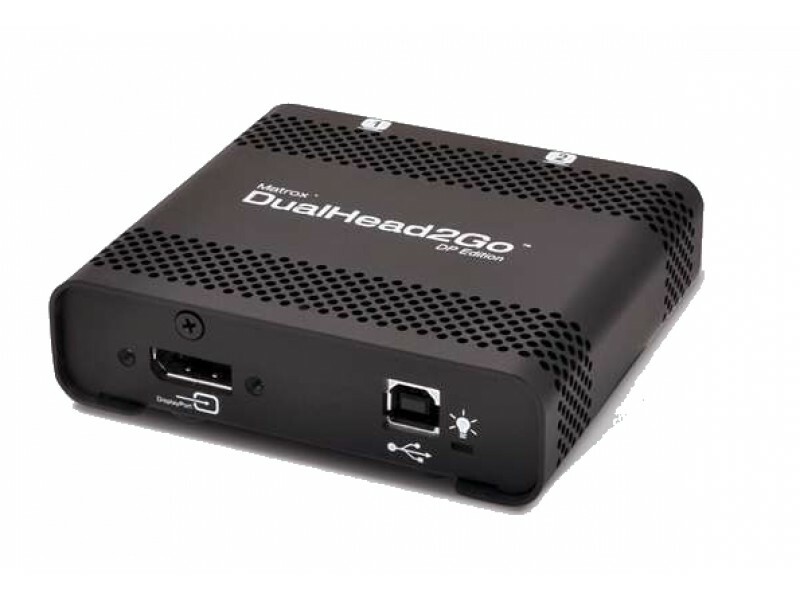 Ideal for business and professional users looking to increase their productivity with a dual display setup, this little black box lets you run different applications on each monitor or view one application across two monitors.